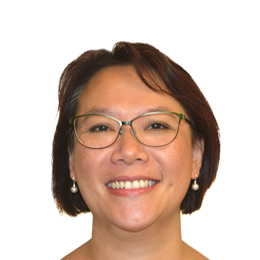 Dr. Michele Campbell is a paediatrician with a Bachelor of Medicine, Bachelor of Surgery (MBBS), a Fellow of the Royal Australasian College of Physicians (FRACP) and holds a PhD. Dr. Campbell was educated at Melbourne University and trained at both the Royal Children’s Hospital and the Monash Medical Centre, focusing on developmental paediatrics as a community health fellow. She also conducted public health research as part of her PhD through the Royal Children’s Hospital for Community Child Health studying childhood growth and obesity. She has a special interest in general paediatrics, autism diagnosis and management, developmental and behavioural concerns, and learning difficulties. Dr. Campbell has a warm and family-centred approach to care, partnering with other health and allied health professionals to achieve positive and practical outcomes. She is a busy mother of two and wife of one, and a keen musician. In her spare time she runs a music group aimed at preschool children. To book an appointment with Dr. Michele Campbell please visit our Contact Us page or Request an Appointment.